The Russian state-controlled energy company Gazprom and the UK-Dutch energy corporation Royal Dutch Shell agreed on the main principles of cooperation in the joint Baltic liquefied natural gas (LNG) project, Gazprom said in a statement Saturday. ST. PETERSBURG (Sputnik) — The document was signed on the sidelines of the St. Petersburg International Economic Forum (SPIEF) by Alexey Miller, Chairman of the Management Committee of Gazprom and Ben van Beurden, CEO of Royal Dutch Shell plc. "The document underlines the main principles of the operations of the joint venture which will carry out works on projecting, attracting investments, construction and operation of the LNG plant in Russia's Leningrad Region. Gazprom and Shell will resume the implementation of the Baltic LNG project on the basis of these principles," the statement read. The parties have also concluded a framework agreement on the joint technical and economic research within the Baltic LNG project. The signing of this document will allow the companies to start the elaboration of the project documentation in the near future. The memorandum of understanding on the Baltic LNG project was signed by the companies in June 2016. Under the document the parties agreed to examine the prospects of cooperation as part of the project. The plant is expected to fulfill the demands of the European and Latin American markets. 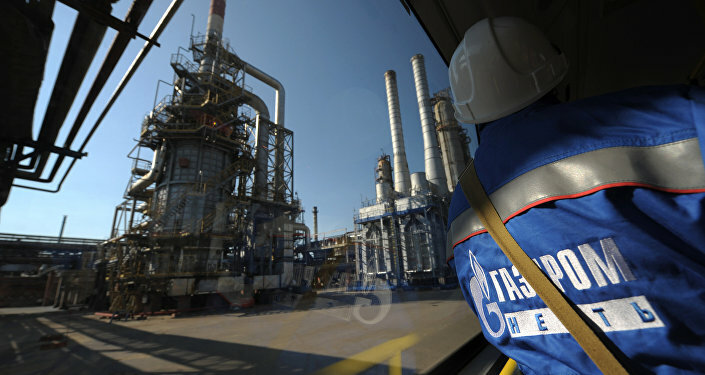 It's capacity is expected to amount to 10 million tonnes of LNG per year with the possibility of further expansion up to 50 percent, according to Gazprom's press service. In March, Gazprom announced that that Baltic LNG plant would start its operations in 2022-2023 while the date could be reconsidered after the planning documentation on the project would be finished.